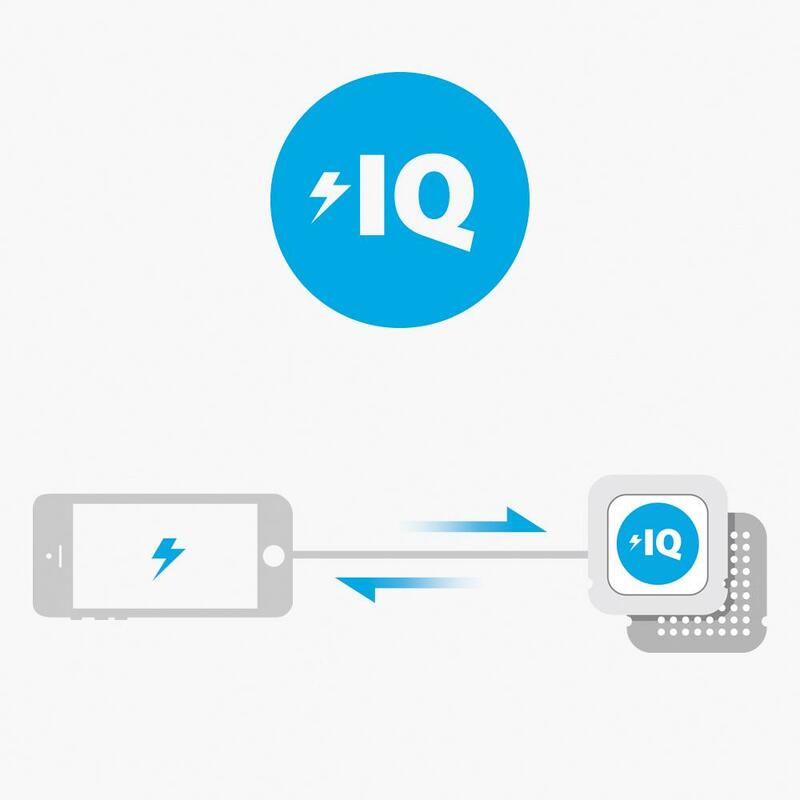 By intelligently identifying any connected device, PowerIQ is able to deliver an optimum, high-speed charge to all devices. Includes Apple and Android phones and tablets as well as cameras, consoles and more. 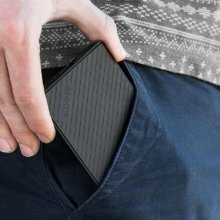 Award winning design allows PowerCore Slim to slot neatly into your life instead of tagging along and weighing you down. It sits perfectly in palm, pocket or pack ready to go anywhere you do. A silicon rear panel ensures that PowerCore Slim carefully grips your phone, with no chance of marking or abrasion. It creates the ideal in-palm partnership with your iPhone. Slim, light and carefully crafted to fit almost unnoticed into your pocket or bag. You’ll completely forget its there until your phone runs into the red. Then it slides neatly next to your phone - a match made in charging heaven. Boasts astonishing capacity with a slimline and light body. It sits unnoticed in your palm, pocket or pack—ready to give your phone a boost whenever it's running low. "Red Dot stands for belonging to the best in design..." PowerCore Slim was chosen out of 10000+ entrants as the recipient for this prestigious award—recognised for its incredible ease-of-use and innovative function. PowerIQ offers adaptive, max-speed charging for almost any device (up to 2A). Does not support Qualcomm Quick Charge. • Please use the original Apple charging cable (not included) to charge Apple products. • AC adapter not included. 1. Can I use a USB cable other than the one that came with PowerCore Slim 5000? Yes, other cables can be used to charge your devices with PowerCore Slim 5000. However, to ensure compatibility and the best possible performance, we strongly recommend using your device’s original (OEM) cable, a third-party certified (MFI) cable, or the included cable. 2. What kind of wall charger should I use to charge PowerCore Slim 5000? You can safely recharge your powercore in 3.5 hours using a 2 amp or higher output charger. Lower output chargers (such as some phone chargers) will not charge as quickly or reliably. 3. How long will it take to fully recharge PowerCore Slim 5000? It takes 3.5 hours to fully charge using a 2A wall charger. 3. What devices are compatible with PowerCore Slim 5000? PowerCore Slim 5000 is compatible with Android, Apple and almost all other devices charged via USB except for iPod nano, iPod Classic, HP TouchPad, Asus tablets and some GPS and Bluetooth devices. 4. Does PowerCore Slim 5000 work with the new iPhone 7 and iPhone 7 Plus? Yes, PowerCore Slim 5000 can charge all iPhones, but an Apple charging cable is not included. Use your device's original (OEM) cable or purchase a third-party certified (MFI) cable separately. 5. Is the supplied Micro USB V2.0 cable compatible with Micro USB V3.0 devices, such as Samsung Galaxy S5/Note2/Note3? 6. What's the output efficiency of PowerCore Slim 5000? 7. 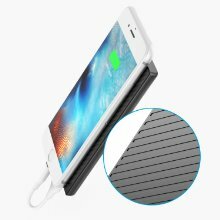 Can PowerCore Slim 5000 charge other devices while it is being charged? No, we have disabled this feature due to the detrimental effects it has on the lifespan of external batteries. 9. 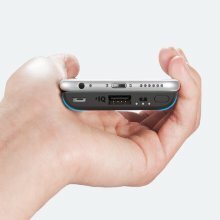 My device charges at 1 Amp, will PowerCore Slim 5000's higher output harm it? No, the PowerCore Slim 5000 will only supply the maximum output current necessary to charge your device. 10. Can PowerCore Slim 5000 charge two devices simultaneously? No, it just has one port. 11. What do the LEDs indicate when PowerCore Slim 5000 is charging itself or other devices? When PowerCore Slim 5000 is charging your device, the LED indicator will stay on displaying the powercore's remaining power and will turn off when the device is fully charged and not drawing a current. When PowerCore Slim 5000 is being charged, the remaining power of the LED indicators will light steadily; while the next charging LED indicator will flash. They will turn off when the PowerCore is fully charged. 12. How long will the charge in PowerCore Slim 5000 last without being used? 13. 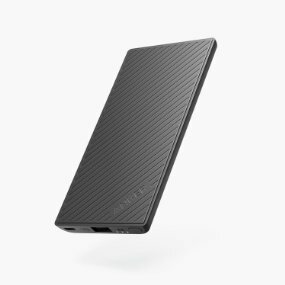 Can PowerCore Slim 5000 be used for international travel? Yes, PowerCore Slim 5000 can be used internationally. Just be sure that your USB wall charger is compatible with the voltage of the country you're travelling to. The input voltage of an adapter is usually labeled on the adapter itself. 14. Can PowerCore Slim 5000 be taken on board airplanes? In March 2017, the governments of the United States and the United Kindom issued orders restricting a variety of different electronics from carry-on baggage when traveling to the USA and UK. The ban is likely to result in difficulties carrying portable chargers from major airports in Africa and the Middle East (with more airports expecting restrictions soon). Therefore, we strongly recommend that you confirm with your airline or airport before traveling with portable chargers to ensure problem-free flying. Please click here to learn more details about the ban. 15. What should I do if PowerCore Slim 5000 doesn't recharge? 16. What should I do if PowerCore Slim 5000 doesn't charge other devices? Please try a different charging cable between PowerCore Slim 5000 and your device. Email us at support@anker.com during your 18-month warranty period if this doesn't fix the issue.